In 1946, an alien virus that rewrites human DNA was accidentally unleashed in the skies over New York City. It killed ninety percent of those it infected. Nine percent survived to mutate into tragically deformed creatures. And one percent gained superpowers. The Wild Cards shared-universe series, created and edited since 1987 by New York Times #1 bestseller George R. R. Martin ("The American Tolkien"—Time magazine) along with Melinda Snodgrass, is the tale of the history of the world since then—and of the heroes among the one percent. 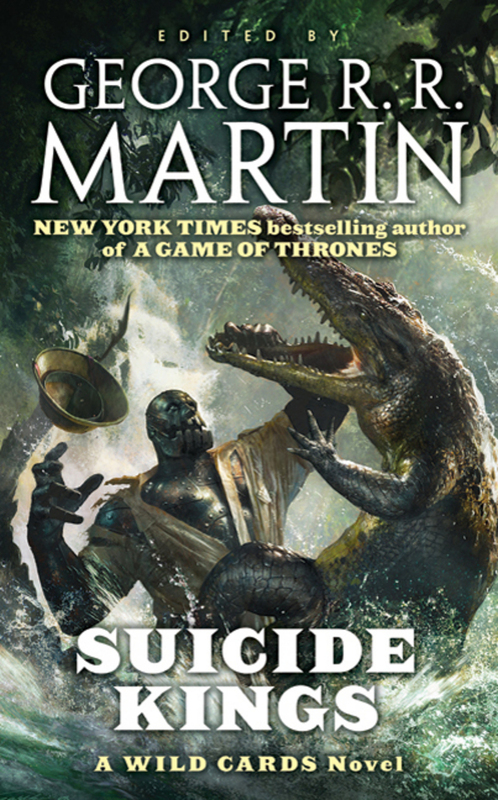 Ranging from New York and New England to ravaged Africa and New Orleans, encompassing war, devastation, and stubborn hope, Suicide Kings advances the story of the Wild Cards, and their struggle to be fully human in a world that fears and mistrusts them. George R.R. Martin is the author of the acclaimed, internationally bestselling fantasy series A Song of Ice and Fire, adapted into the hit HBO series Game of Thrones. He is also the editor and contributor to the Wild Cards series, including the novels Suicide Kings and Fort Freak, among other bestsellers. He has won multiple science fiction and fantasy awards, including four Hugos, two Nebulas, six Locus Awards, the Bram Stoker, the World Fantasy Award, the Daedelus, the Balrog, and the Daikon (the Japanese Hugo). Martin has been writing ever since he was a child, when he sold monster stories to neighborhood children for pennies, and then in high school he wrote fiction for comic fanzines. His first professional sale was to Galaxy magazine, when he was 21. He has been a full-time writer since 1979. Martin has bachelor's and master's degrees in journalism from Northwestern University. He lives in Santa Fe, New Mexico.